Dispute conciliation within affiliated stores and agencies that has been in an exclusive charge by Korea Fair Trade Mediation Agency (KOFAIR) is now going to be handled by Seoul, Incheon, and Gyeonggi as well. Local small companies can now receive help for unfair trades at a closer distance. 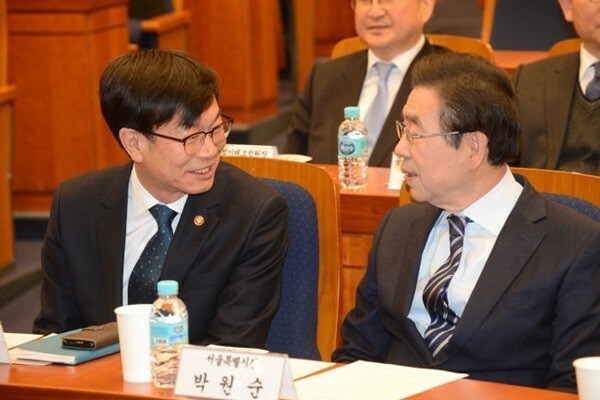 Fair Trade Commission (FTC) held a ‘joint inauguration ceremony for dispute conciliation committee for local affiliated stores and agencies’ with National Policy Committee, Seoul-si, Incheon-si, and Gyeonggi-do at the National Assembly on the 11th. Dispute conciliation committee is now set up in Seoul, Incheon, and Gyeonggi, which will also handle dispute conciliation task for affiliated stores and agencies that had been solely handled by KOFAIR. Owners of affiliated stores and agencies can now request conciliation from KOFAIR’s committee or a committee from one of these three local governments whenever there is a dispute with a headquarter. 68% of franchise headquarters and 50% of affiliated stores are located in Seoul, Incheon, and Gyeonggi. Three local governments are also going to handle registration and management of disclosure documents of franchise headquarters that are located in their jurisdictions. Franchise headquarters in other areas will be handled by FTC just like before. As a result, these three local governments will handle registration of 68% of entire disclosure documents. FTC is planning to carry out an interchange of personnel between FTC and KOFAIR and local governments so that they can share knowledge and experience in dispute conciliation system.